There is double the treat in store for music lovers who prefer to hear their melodies in the open air. Not only that, but people flocking to the Tamworth Castle Grounds over the weekend of Saturday 16 and Sunday 17 July can also hear live bands in the delightful setting of an actual bandstand. The musical treats being lined up over the weekend in question are being provided by an acoustic guitar-playing duo and a popular choir from Tamworth itself. They will be providing a pleasant musical backdrop to what will hopefully be a fine summer's weekend as they perform during the afternoons as part of a free season of bandstand concerts in the delightful Castle Grounds. 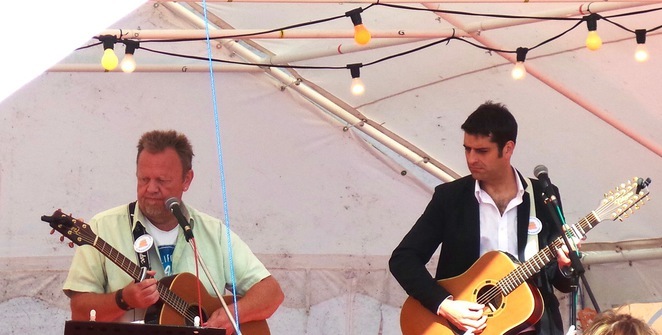 First up on Saturday 16 July will be Brindley-Hunt who only formed their acoustic duo in September 2015. They are made up of Bryan Brindley, whose regular job is as a Tamworth firefighter, and Barry Hunt, from Elford, near Tamworth, who works as a guitar and song-writing teacher while also performing as a singer/guitarist in bands and as a soloist for many years. 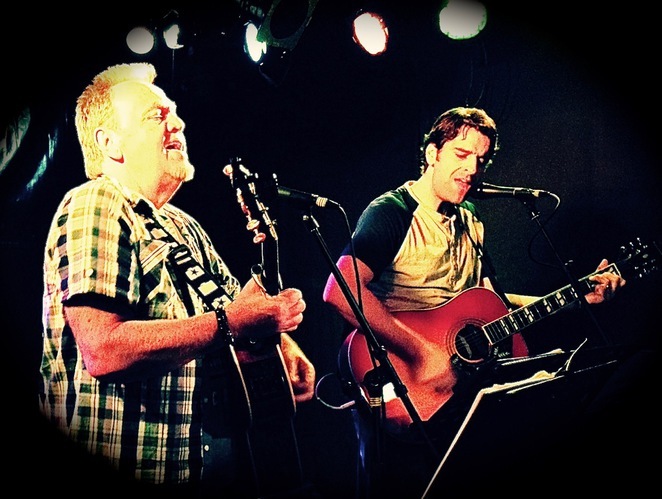 Together, Bryan and Barry enjoy singing harmonies in the style of The Beach Boys, The Beatles, Crowded House and other vocal bands. Brindley-Hunt can be seen and heard in action at the Castle Grounds bandstand at regular intervals between 1pm and 4pm, weather permitting, before it is the turn of something altogether different on Sunday 17 July when local choir Tamworth Voices take to the stage. Tamworth Voices was set up by Tamworth Borough Council's Arts & Events team following a successful taster session in 2011. The choir now has more than 100 members ranging in age from 18 to 75. 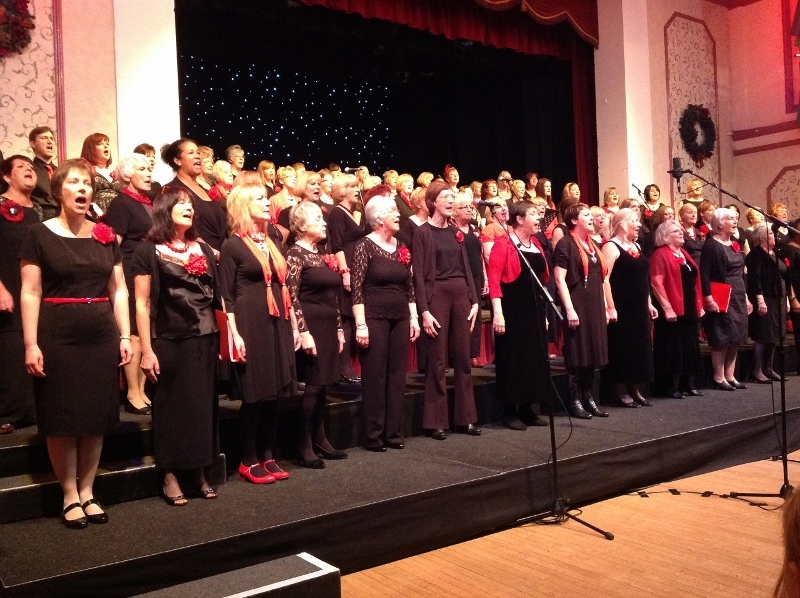 Tamworth Voices will also be performing regularly between 1pm and 4pm as they showcase the best from their summertime repertoire. There will also be a sing-along section at the end of each set, so audience members have the opportunity to get their vocal chords working. Organised by Tamworth Borough Council's Arts & Events team, the annual Bandstand Concerts tradition sees the historic stage coming to life throughout the season with music and entertainment for all tastes. All performances are free of charge and subject to weather conditions. More information is available online.